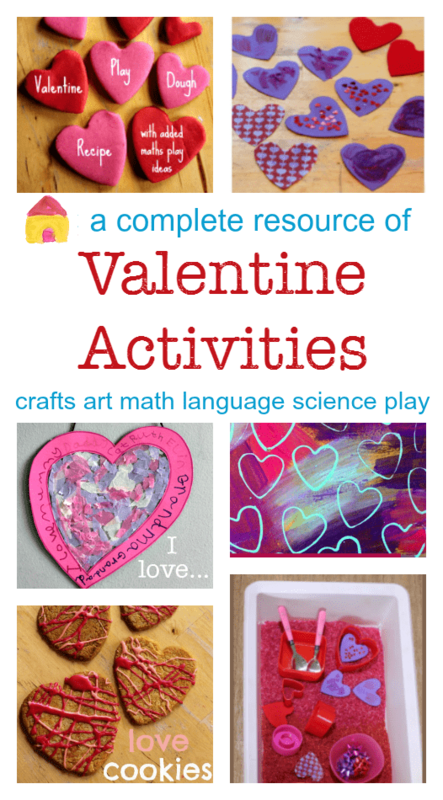 These heart matching cards are a hands-on way to count, match, and order numbers.They make a great addition to a Valentine math station. Print your cards and cut them out. 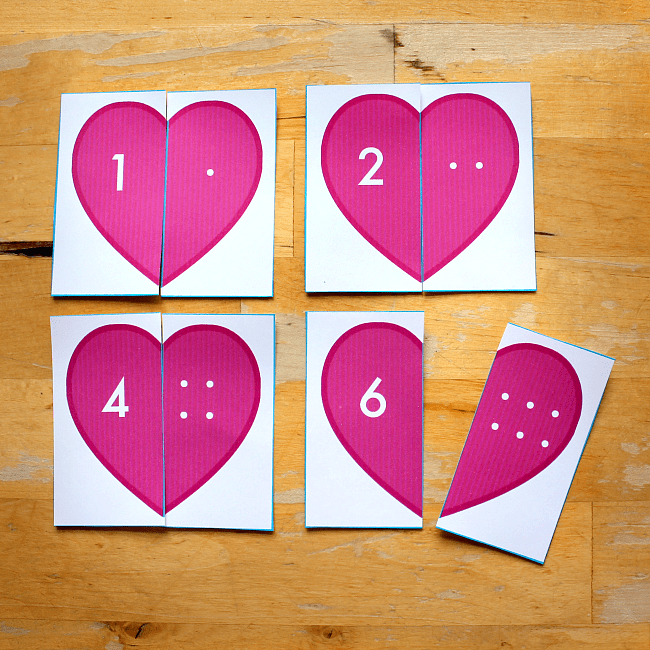 You can cut them as square playing cards or in a heart shape – as you prefer. Cut each heart in two, along the central line, so each heart is how a pair of playing cards. :: use the cards like a jigsaw. 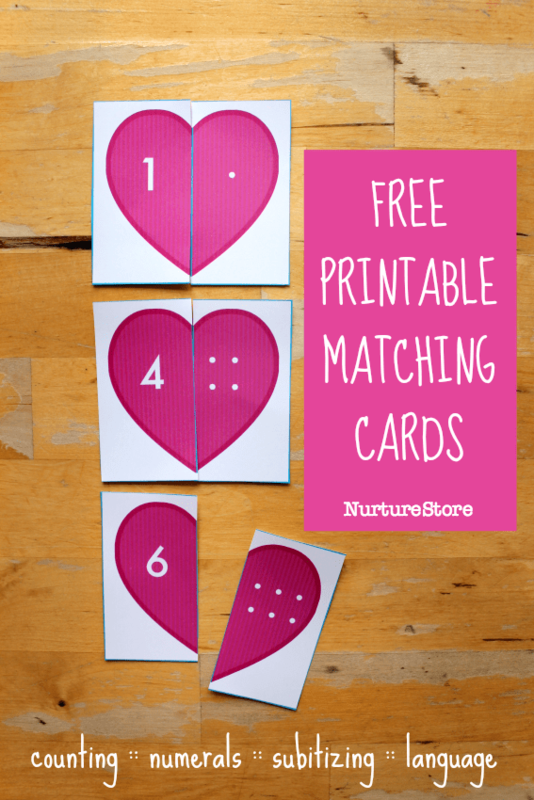 Spread them out on the floor and work together to match up all pairs. Younger children might work only on cards one to three, older children might complete the whole set. Who has the heart with the most dots? Who has the biggest number? Who has got an even number? Who has one more than me? Who has two less than me? Who has got the same number as their age?